Why do we use filters in telescopes for astronomical imaging? I have read that if we image without a filter we get no information about the color or SED of objects. Can anyone elaborate the reasons for using filters for imaging/photometry? What happens if we image without a filter? In general, the CCDs used to capture images do not register the energy (therefore, colour) of the incident photons on them - they just count the number of photons observed by each pixel (or a value proportional to the number of photons, as the are not 100% efficient). So, they essentially just show overall brightness variations across the image. If you want to capture colour information you therefore have to use filters. I.e., if you want to get information on the number of red photons (e.g., the intensity of red light incident on each pixel of your image), you use a filter to block out all other light. You can do this with multiple different filters to build up a full colour image. In most commercial digital colour cameras the CCDs have a filter mask over four pixel patches: two filtering for green light, one for blue light, and one for red light. The outputs from these pixel is used to build the full colour image. As WDC pointed out in his comment, without filters, you simply get a recording of the received irradiance as a function of the sensor's spectral response function. In other words, a normal CCD that detects the light in a camera isn't capable of picking up every wavelength of light perfectly and the response function tells you how good that CCD is at picking up every wavelength of light. Sometimes though, you don't want to take a picture and record every possible photon the CCD is capable of recording. Sometimes you want to record specific wavelengths. You do this by applying a filter, before the CCD, that let's in only specific wavelengths. This has all sorts of uses. A simple example would be taking three pictures, one with a red filter to primarily let in red light, another with a green filter to primarily let in green light, and a third with a blue filter to primarily let in blue light. When you look at the individual images on your screen, the computer doesn't know what colors (i.e., wavelengths) of light the CCD saw, it just knows how many photons were observed so it can only show you a greyscale. However, you can then, in post-processing, tint your image with the red filter red, tint your green image green, etc. and then combine you red, green, and blue images into a single, colored picture to get a close-to-true, color image of your object. In fact, that's actually how digital cameras actually work to take colored pictures! Besides using filters to get colored pictures, Astronomers use filters for a wide variety of science goals. It is very possible to create a special filter that only lets in a single wavelength (or as near to a single wavelength as one can get). Often single wavelengths of light are tied to specific physical processes. By that I mean, only specific physical processes can create that exact wavelength. So by looking at something with a filter for a specific wavelength, you're looking at the components of that object that created that wavelength of light. A common single-wavelength filter people like to use is the H-alpha filter and a common target for observation is the Sun. Shown below, and taken from APOD, is a picture of the Sun using the H-alpha filter. Or simlarly, the Solar Dynamics Observatory (SDO) spacecraft is constantly observing the sun in all sorts of filters. 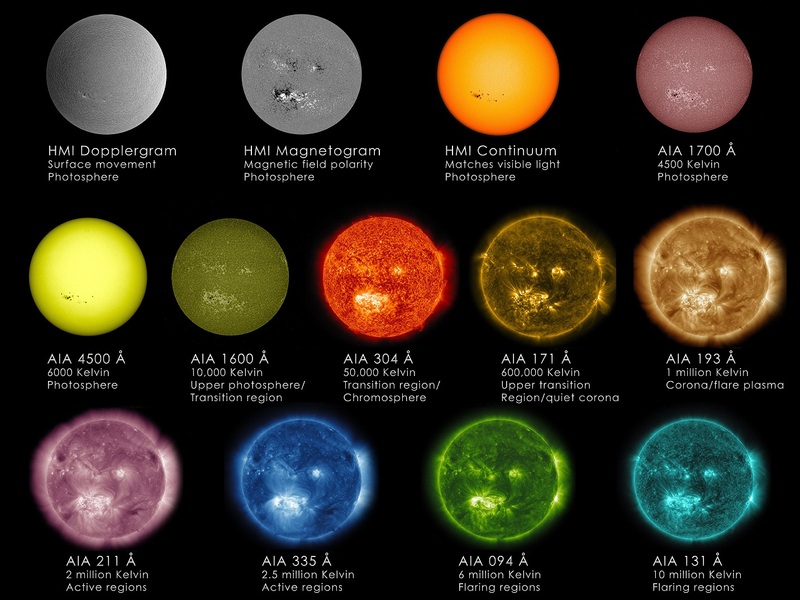 Note how different the sun looks at the different wavelengths! Note: these are false color images for effect! Not the answer you're looking for? Browse other questions tagged telescope observational-astronomy photography photometry or ask your own question. How does one find the extinction coefficient of a particular galaxy? Why are the stars in my image so green (false color image, HSO palette)? Why do different instrumental filters use different magnitude systems (Vega vs AB)? Astrophotography: Is there a rule to the color mapping? 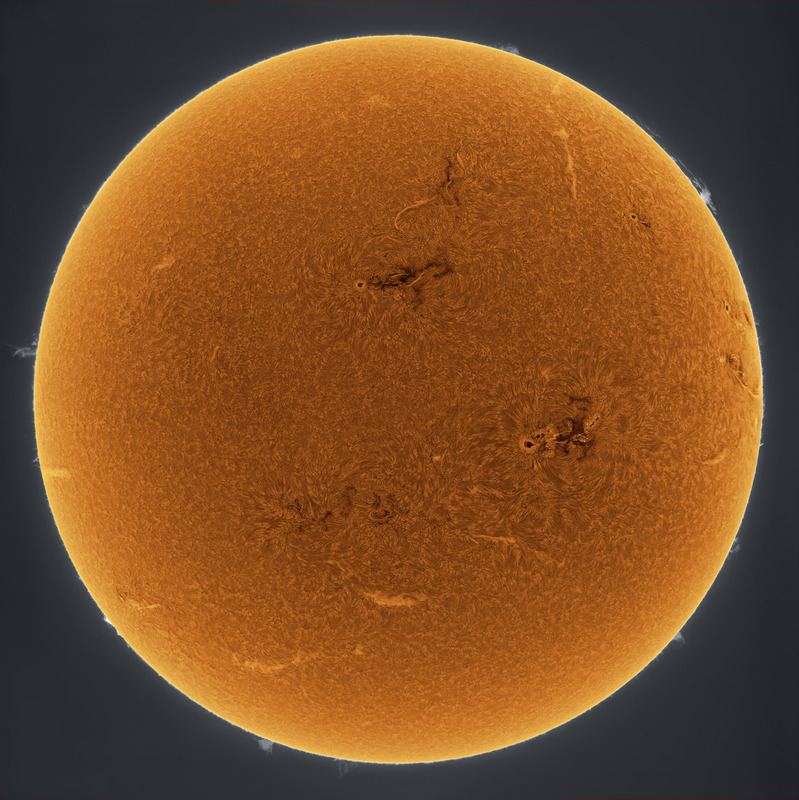 Why do we use solar filters instead of simply reducing aperture of the telescope? Why can't I use automatic photometry on IRIS?